The wild symbol is the Lucky Lady. Other symbols are a lady bird, gold coin, and charm. There are other lower paying ones which are queen, king, ace, 9, and jack. The player can enter the free game feature when five identical symbols appear next to each other across the active win lines. If the symbol is the Lucky Lady, the winnings are doubled, and one gets 10 free spins when 3 or more crystal balls appear. Otherwise, the player can choose to play for real money. If the player is playing for real money, he/she will have to place a bet first then make a spin, and if they manage to match 3,4 or 5 hand symbols on the screen, then they get 15 free games. Each win in the free games awarded is multiplied by 3, and you can also be awarded 15 more free spins each time you match the screen with 3,4 or 5 hand symbols. Wilds are symbols that can generate wins where they did not exist. Metaphorically they are the joker in the game of cards. When they appear, they can replace other symbols on the screen to create a combination that would result in the highest possible win that was originally not there. However, the wilds cannot replace scatter symbols. Scatter symbols, on the other hand, have values of their own, and they help by unlocking bonuses. The bonuses mostly are free spins and the more the scatter symbols appear, the bigger the number of free spins is because they are awarded per symbol. You can substitute the Lucky Lady symbol for all other symbols excluding the scatters. With each substitute, the prize is doubled. Apart from scatters, all other payouts are awarded on wins from left to right and only on the selected lines. The line wins are multiplied by the stake placed on the respective lines. Scatter prizes, unlike for the wild symbol, are multiplied by the total bet, and they are added to the line wins. After every win, the player has to choose either COLLECT or GAMBLE. For the gamble feature the player has to guess the correct color of the next card in a deck of cards (red or black), and if he/she is lucky, the winnings will double, otherwise he/she loses it all. It is advisable to GAMBLE on small winnings to avoid the chance of losing it all and COLLECT on big winnings. For the autoplay feature, the player has to specify the number of plays, single payout limit, and the loss limit. The gambling feature is however deactivated automatically once the player has switched to the autoplay feature. To place a bet, the player has to deposit the stake on each winning line. The minimum bet is 1p, and the maximum can go up to £50 per winning line. Theoretically, the average return to player is around 95%. Lucky Lady’s Charm slots are very popular, and the gaming interface is more of a feminine outlook because of the lucky lady herself and the pinky color. It is also available for free download in mobile version and PC version. For those who have the no download challenge (probably it’s not available for download in their region), they can play free Lucky Lady’s Charm Deluxe casino slot machine by visiting the nearest casino in your locality and win some real cash. 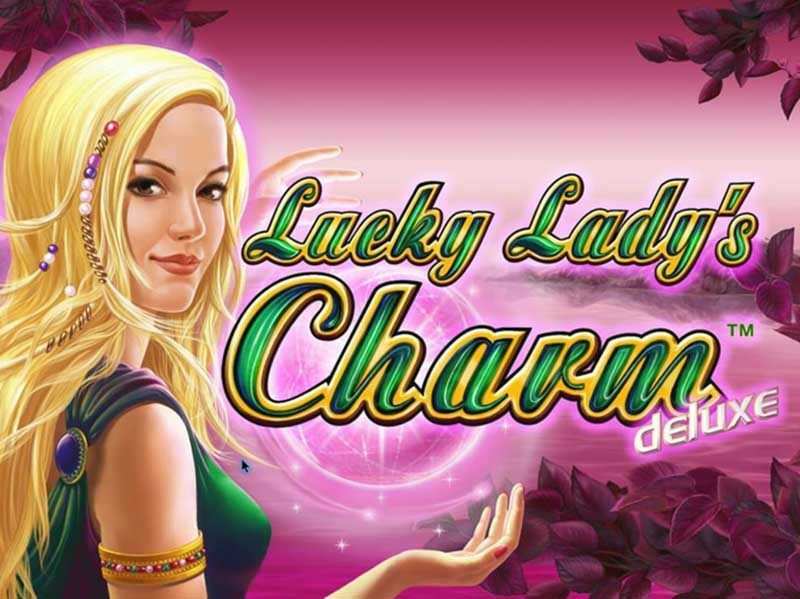 If you want to play Lucky Lady’s Charm online, then all you need is the internet connectivity and a browser. 0 responses to "Lucky Lady’s Charm Deluxe Slot"